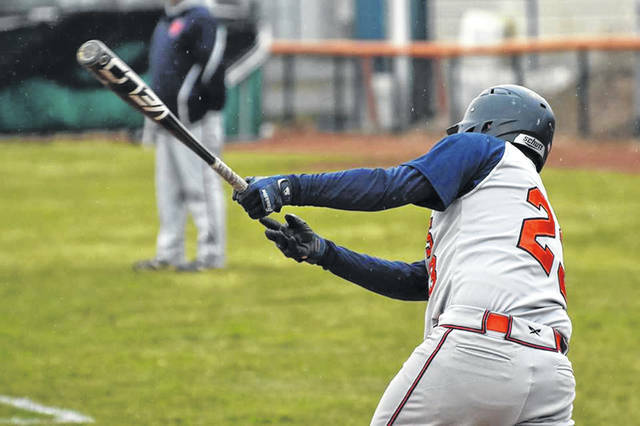 GALION — On a rainy Thursday afternoon, the Galion Tigers baseball squad welcomed the visiting Bucyrus Redmen to Heise Park for a non-conference clash. After starting the week at 2-0, Galion made it a clean sweep of their opponents as they put away Bucyrus by a final tally of 11-1 in a shortened, five-inning contest. With the victory, the Tigers improve to 5-1 overall on the young season, including a 3-1 mark in Mid-Ohio Athletic Conference play. Galion plated two runs in the home-half of the first and would rack up four additional runs in the bottom of the third before putting the contest away in the fifth by scoring five runs. Bucyrus’ lone run came in the top of the fifth inning. Clay Karnes earned the win for the home team, pitching three innings of no-hit baseball while fanning four. Brody Symsick tossed the final two frames, allowed five hits, an earned run and struck out three. Cameron Payne led the way on offense for the Tigers, knocking a pair of singles, scoring twice, driving in two teammates and swiping a bag. Other offense for Galion was provided by: Sam Albert- 2B, R; Troy Manring- 1B, 2R, 2SB; Spencer Keller- 1B, R, 2RBI, 2SB; Ryan Utz- 1B, 2R, RBI, 2SB; Carter Keinath- 1B, RBI; Jackson Staton- 1B, R, RBI; Jacob Lear- 1B, R, RBI and John Abouhassan- R.
The Tigers are set to hit the road to Crestline for a non-conference clash with the hosting Bulldogs on Saturday before returning to MOAC play, at home, against the Harding Presidents on Tuesday, April 9. 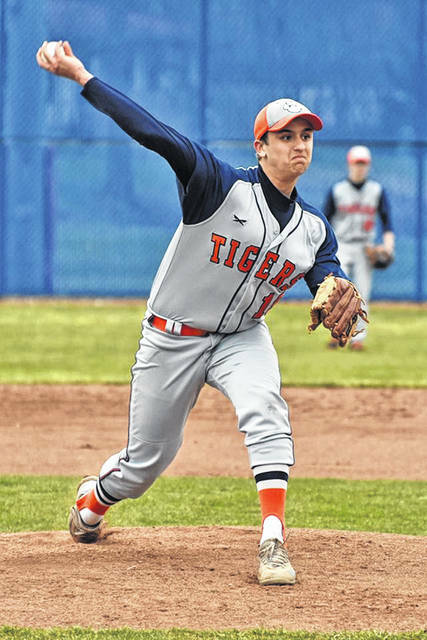 GALION — The Tigers returned home on Wednesday to clash with conference foes, the River Valley Vikings for game two of their season series. In a close contest where offense appeared scarce, Galion would earn a hard-fought, 2-1 victory. The win gave Tigers head coach Phil Jackson win No. 100 of his career. Payne went the entire seven innings for Galion to earn the win, giving up three hits and an earned run while walking one and striking out seven Vikings’ hitters. At the dish, Payne knocked two of the three Tigers’ hits, a single and a double, while also scoring once and swiping two bases. Keller delivered Galion’s third hit, a single while Albert scored the other Tigers’ run. Symsick drove in a run and swiped a base and Utz rounded out the offense for the home team with an RBI. CALEDONIA — Back on Tuesday, April 2, the Galion Tigers hit the road to begin their two-game series against the hosting River Valley squad. The Tigers would take the contest by a final score of 6-3.